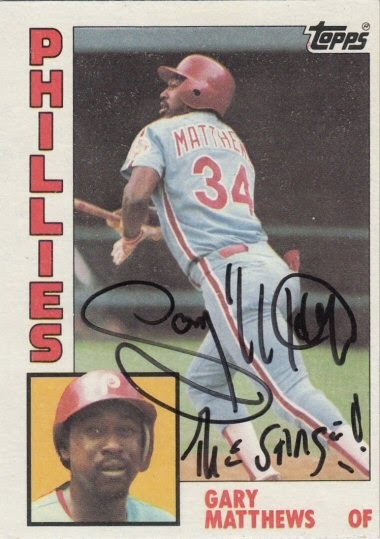 I met him at a Minor League game at Jack Russell Memorial Stadium in Clearwater, Florida in 1996, when the Daytona Cubs, whom he was the hitting coach for, came to play the Clearwater Phillies. Gary signed a 1984 Topps card #70. That's sweet that he signed his nickname, too!